Halloween is such a fun holiday for little ones and a costume party is a fantastic way to celebrate the spooky season. A costume party allows your guests to get creative with their costumes and also provides a safe and not-too-spooky place for tricks and treats. The invitation below from Bubbles n' Bows is the perfect way to get guests excited for your event. We love the festive confetti and the costumed silhouettes are sure to spark imaginative costume ideas in your child. 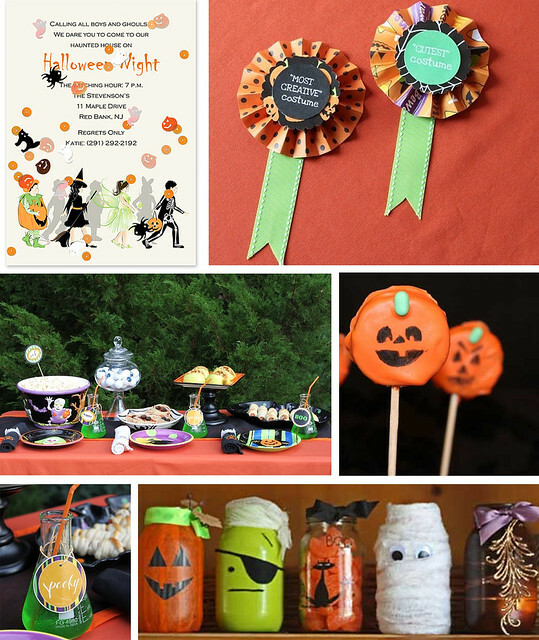 Pair this invitation with these fantastic Halloween party ideas from Celebrations.com, and you're sure to have a festive fête that is fun for everyone! (How great are Celebrations.com's ideas to use science beakers as cups for goblin juice and dress-up mason jars as treat containers-- you could even have a mason jar dress-up craft activity or contest!). Finestationery.com | Noted. is the official stationery blog of FineStationery.com, providing you with tips on entertaining and event planning in addition to trends in fashion, art, design and stationery. FineStationery is dedicated to providing a curated selection of Personalized Stationery, Wedding Invitations, Party Invitations, Baby Birth Announcements and Holiday Greeting Cards on the Internet. Visit FineStationery.com for fine stationery and more.